We dreams a lot. We makes resolutions for loosing this much of weight in this year, such amount to be earned, to become President of club, learn a car driving Etc. But why all desires are not fulfilled?? Before moving it is important to know whether you have set your goals. During a seminar of MBA pass-outs It surveyed that how many people have set their goals. Only few of them were having their goals in writing. Few of them were knowing their goals but not written. And Few of them did not even think of their goals. After 10 years when they were surveyed again it's found that few of them who were knowing the goals but not in writing, their income was four times more than those who have not set their goals. And those few who were having their goals in writing were earning 10 times more than the total income of all those 97% together. The important thing is just set your goal and writing your goals is also important. Below are some reasons which not allow you or become obstacle towards your goals. It has come to see that often we do not have complete knowledge of the area which we want to succeed. suppose if anyone wants to become a "Chef" then he must wants to know the life of Chef, How much money he get paid? What is the working hours? Etc. Some people go into the profession, but after going, they get bored in a few years that's why the amount of studying and the whole investment is become useless. Gather full knowledge of your written goal. Those who have achieved that goal, study their life, meet them, doing this will help you to improve yourself. Here you need to know the difference between skill and talent. Genius is natural quality, which is natural in humans. As a boy can have acting talent, that is, there can be a natural quality of acting. And the skill is that which is taught by putting hard work and time. That is, the person who had the quality of acting, can not be successful till he gets the skills of acting. Confirms confidence with talent But skills are needed for performance. So whatever you want to become, if you have hobbies, have knowledge, then acquire their skills too. Find a trainer, teacher, guide, coach. For example: If you want to win the marathon, and running is your nature then you can win a marathon by taking training. Misconceptions Wrong idea about yourself Many times in the childhood, the parents said something, the teacher said something in the school; friends said something, then you accepted it as the truth. Parents have said that you are a girl you can not become a pilot. You believe this. The teacher said that your IQ is low, you believe. And this useless beliefs whole life keep walking with you. "You can do whatever you want to do." Poverty, gender, location, age, looks, complexion, all are your beliefs. Correct them and always trust yourself. Many people say, man, I am very tired. And this tiredness does not let them reach their goal. If you sleep for about 7 hours a day, then your body and your brain can work 17 hours continuously without tired And if there is still exhaustion, then there is some deficiency, either in the body or in the brain. You have to take 15 to 20 minutes of intervals in 17 hours. Even if you feel exhausted, correct your diet. Fast Food, Fried Food, Empty Calories Food - that is, the food in which the calories are but there is no nutrition. Like sweets, ice-creams ban them. Take ghee, butter, vegetables, fruits, sprouts more. Your well wishers create obstacles in your goals. With whom you discuss your goal, he immediately tells you that - it cannot be. Because you set your goals in mind with your own strength and weakness, and they listen to their strength and weakness in mind. For example: If you said that you want to open a shop, and they said - No, this is not possible. So maybe they have never done the business, they do not like to deal with the people, or they do not understand to make accounts. But you have to thought about your hobbies, your strengths and weaknesses. So, discuss the least goal with those who deny you. do not get affect by their thoughts. Not necessarily a candle is extinguished by the outside air only. it extinguishes itself after the wax ceases. Dismiss the people who do not need you. You can be discouraged yourself too. Many times, repeated attempts do not result. Instead of being discouraged in such a situation, think again about your goals, is the goals were correct? If it were made right then why not get it. have you set unrealistic goals? In such a situation, re-establish your goals, and don't become sad and don't ever give up. We are not able to manage our time correctly. Some internal reasons may be something external. That is, we may wrong ourselves, Sometimes people are not giving us the strength to do the same. for both reasons we have to manage it simultaneously, have to make planning for the next day before sleep. Have to make a timetable for a weekly, a monthly and a yearly. The punctuality of time should be in your blood.You must sign the unwanted guest that you are committed to your goals. Whatsapp, Facebook have to use it for our growth and not for being waste of time. People say that their biggest concern is that, due to lack of money, they are unable to achieve their goals. But this is just a false statement. 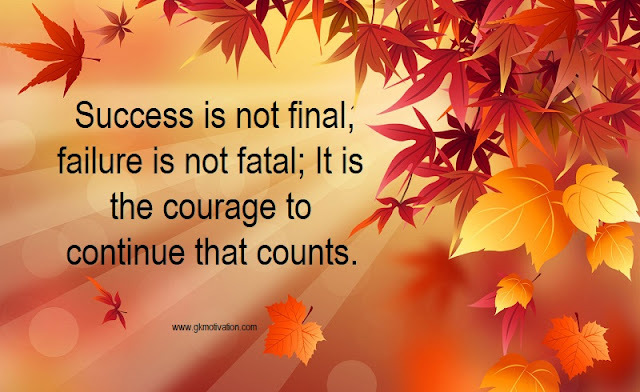 Because there are so many people who have succeeded even in the absence of money. Venture Capitalists, Private Financiers, Banks, NBFC companies, Angel investors, NGO's, Subsidies, Relatives, Friends there are many people to help you make your dreams come true, just tell them and get the help for yourself. People are so scared for failure. 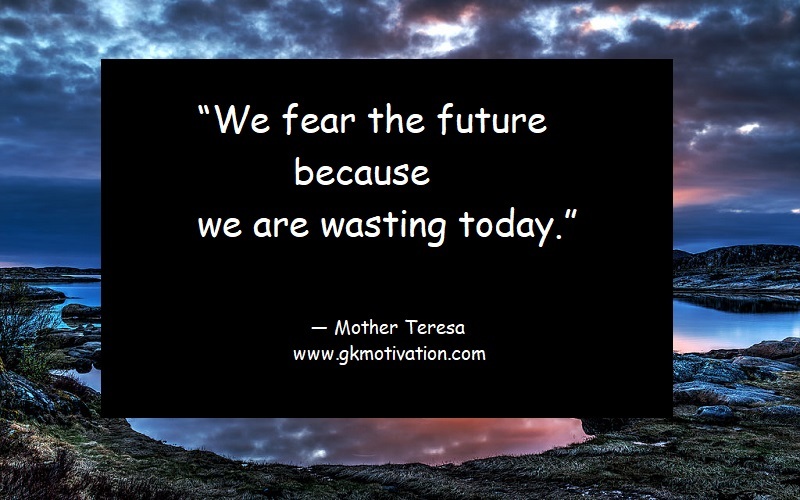 Fear of failure - what will people say, time will be wasted, money will be wasted, heart will be broken, etc. All these fears are meaningless, people do not say anything, this is a vanity of your mind, and people are scared of this thing themselves. And if they say so, let them say it. When Elephant walks in market, dogs start barking. Then do you stop the elephant? As long as the time and money are ruined, even if they failed, then in a way invested in your training. There is always a fear of losing in every cricket match. If you play, either you will win or you will lose but if you not play, then the defeat is sure.